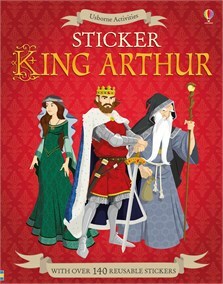 Travel to Camelot and meet the Knights of the Round Table in this exciting sticker book. Children can dress King Arthur, Merlin and Lancelot for scenes including Arthur pulling the sword from the stone and jousting with Sir Lancelot. With over 140 reusable stickers, a fold-out back cover to park stickers and links to websites to find out more.